No, I'm not climbing Machu Picchu in Peru, although I wish I could. That would be amazing. 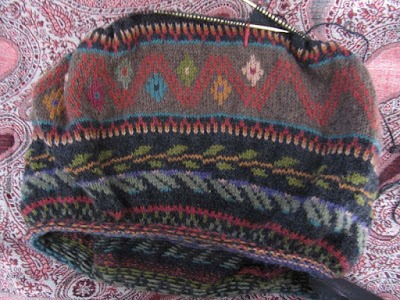 Instead, I'm knitting Sunday Knits' Machu Picchu pullover. 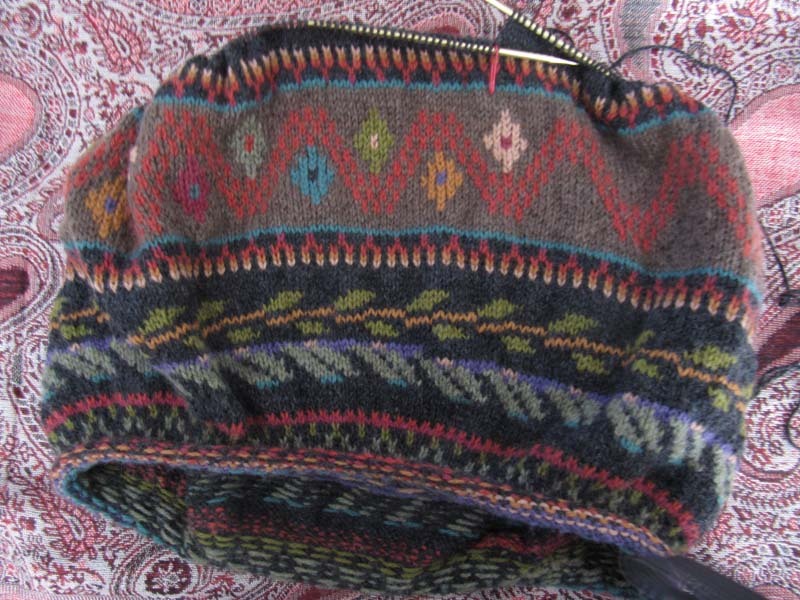 It is knit using their own yarns which are rich in color and wonderfully soft. My hands are loving the feel of them as I'm knitting. The color repeats after every 5 diamonds, then you're to do five more in the same sequence, except that upper diamonds become lower diamonds. By doing this, however, I would end up with two of the same color next to each other. Instead, I've added one more color option and I'm repeating after every 6, ignoring whether they are located on the upper site of the zig zag or the lower. Soon, I'll be working plain black for the rest of the sweater. It should go fairly quickly. I have quite a bit of the colored yarn left over...maybe even enough to make a pair of fair isle mittens. Not for this winter...but maybe for next.